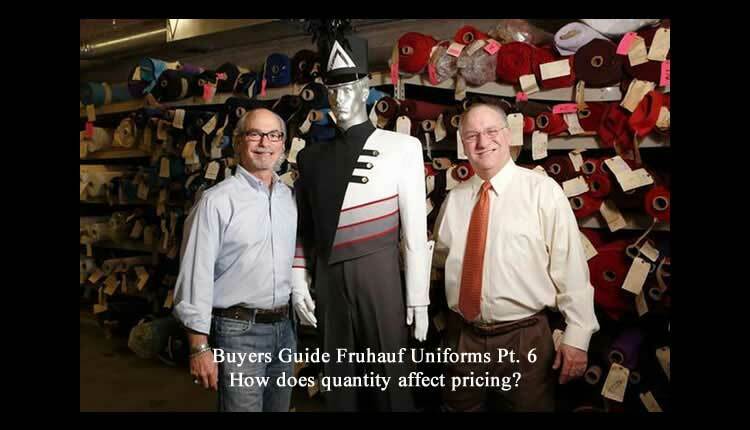 If you have ever visited a uniform manufacturing facility the answer to this question is obvious. If you haven’t toured a manufacturer’s facility we strongly encourage you to make such a trip a priority. However, the answer to the question lies in the fact that manufacturers are set up to produce large quantities of an item. In many ways, it is just as easy for a manufacturer to make 100 uniforms as it is to make 1. The “fixed costs” in manufacturing, order processing, purchasing, etc., have to be factored into each order. If these costs can be factored into 100 units instead of 10, the cost per unit is greatly affected. The uniform manufacturers have discounts at various quantity levels. At Fruhauf these quantities are 1-29, 30-49, and 50+. The amount of the discount varies, but many times if you are within three or four units of reaching the next pricing schedule you can order the additional suits at no additional expense once the discounts are factored in. One of the biggest shocks experienced by a band director is when he calls to order 5 more uniforms just like those he ordered 100 of last year. He can’t understand why the $250 uniform of last year is now closeto $400. The increase is a result of the loss of the quantity discount and the price increases that have occurredsince the last order.